The centromere serves as the control locus for chromosome segregation at mitosis and meiosis. In most eukaryotes, including mammals, the location of the centromere is epigenetically defined. 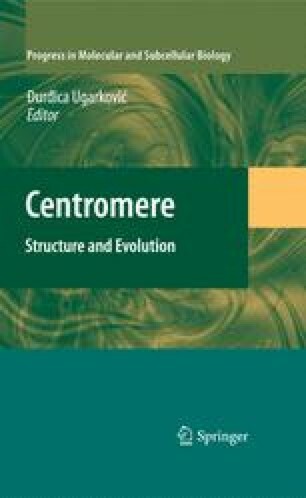 The contribution of both genetic and epigenetic determinants to centromere function is the subject of current investigation in diverse eukaryotes. Here we highlight key findings from several organisms that have shaped the current view of centromeres, with special attention to experiments that have elucidated the epigenetic nature of their specification. Recent insights into the histone H3 variant, CENP-A, which assembles into centromeric nucleosomes that serve as the epigenetic mark to perpetuate centromere identity, have added important mechanistic understanding of how centromere identity is initially established and subsequently maintained in every cell cycle. Work in the Black Laboratory is supported by a Career Award in the Biomedical Sciences from the Burroughs Wellcome Fund and a grant (GM82989) from the NIH.